The John Jordan books have been included in the Enthralling Long-Running Series feature on Wiki.ezvid. Posted on March 5, 2019 by Michael Lister. I knew a guy once who whenever he was asked where he was from would reply, “Grover’s Corner.” To anyone who didn't figure out the ruse, it sounded familiar, except that, where was that town? It was, it is, Thornton Wilder’s fiction from his famous play Our Town. I had the same experience with the town in the first John Jordan novel by Michael Lister. Pottersville. I knew that place. Why, I think I've been there. Many times. Usually around Christmas. Pottersville is what Frank Capra calls his also fictional Bedford Falls in the film It's a Wonderful Life when the angel shows a suicidal James Stewart what his hometown would become if he'd never existed, a nightmare town filmed using all the atmospheric tricks of film noir. What better name for a town in a violent crime thriller like Power in the Blood, the first John Jordan novel, that, like Capra’s movie, deals with the transcendent theme of redemption? Twenty years into the John Jordan series, about a crime-solving prison chaplain, Lister no longer fictionalizes the town’s name, his own hometown, but calls it by the unpronounceable Wewahitchka. It was in Wewa, as everyone calls it, that I met Michael Lister’s work and the author himself. An article in a local electric company mailer told me about a crime novel set in the town, written by a Wewahitchka writer of some reknown though unknown to me. I read it. Wewahitchka, a one-street-light town in the Florida Panhandle, had already enjoyed its 15 minutes of fame, in Ullee's Gold, a 1997 film by Victor Nuñez, who sets all his work in the Panhandle, starring Peter Fonda in an award-winning role as a Wewa beekeeper – the town is home to artisanal Tupelo honey. Many scenes were filmed locally. But Lister, born into a well established Wewa family, goes deeper. For me the thrill of reading A Certain Retribution, the Lister novel I first encountered, was how everything happened in places I knew: the bar, once a bikers’ hangout called precisely The Bar, but now renamed and less raffish; the houseboats on the river; the one coffee-shop in town, where Lister gives himself a cameo appearance. It was not a John Jordan book, but it was certainly a crime thriller, set right here in my new hometown. I had moved to Wewa after living in New York City and Miami, both cities where I worked as a journalist, the doomed profession of our times. When the doom caught up with me, and being of retirement age, I figured it was time to retreat from worldly noise and finally try my hand at what Michael Lister was doing at a much younger age and with great success: writing books. My sister had married a local man and lived in his family property outside Wewa, a small ranch where they raised horses and chickens. My aging parents had moved right next door, into a double-wide trailer the size of a comfortable suburban home, and my father had died there. I lived with my mom the last two years of her life and now the double-wide, common housing in these parts, was my home. The Florida Panhandle is the Deep South, as Lister himself has made it clear, unlike South Florida, where one is hard pressed to hear a Southern accent. “The best fiction is regional, is geographically specific”, Lister has said, calling himself “one of those novelists” of the romantic and misery-ridden South. Like the scent of honeysuckle in The Sound and the Fury, the heady perfume of the region haunts, underpinned by an extroverted religiosity – so different from the tight Protestantism of the old North – and a painful history. This is a zone where crime could be rightfully called sin, where a chaplain, a prison official whose job is to redeem rather than punish, is the right kind of hero. John Jordan enters the world witnessing a killing, and then, in a grotesque bit of slapstick, falling into the victim and soaking up his blood. But he's cool. The chaplain takes his role seriously and control of the situation. He is, after all, a man of God. And he's also a detective, solving, as they all must, crimes, which is to say, riddles. Mysteries. And mysteries are what crime fiction and religion are both all about. Except that in one, what matters is to eliminate the mysteries and let the light shine through, while in the other the light shines through when there's faith in the mysteries. A detective/chaplain, who else could manage both? At the core of the John Jordan mysteries is the region itself. This Deep South in North Florida. There is mystery here. The woods are thick with undergrowth. Trek for a while and they become wetlands. If Florida’s most famous wetland, the Everglades, is a flat and endless savanna of sawgrass, the swamps here are bayous, just as wet but denser. And there's none of the genteel South of lore. No antebellum mansions until you're practically in Georgia. Instead, the improvised life of doublewide trailers and riverboats. Suburban ranch houses. Beach houses on stilts. Cottage from an Old Florida that has not yet fully succumbed to development. Wewahitchka/Pottersville is a town with practically no fast food chains or other signs of the tacky modernity of the Sun Belt. Yet, there isn't any small town cuteness either, gussied up for tourists. To say everyone knows everyone is no exaggeration. Or as I've heard it said, “everyone here knows a girl is pregnant before the girl herself finds out.” Homes don't need to be locked, and instead of police presence, everybody has guns. Not that they're shooting one another, except in Michael Lister’s novels. Extreme politeness, that Southern trait, is extended to everyone, of every background. There is a black section of town, “the quarters”, mentioned in Power in the Blood. In private conversation you'll hear the notorious n-word, but you're more likely to hear the r-word, from folk who rightfully belong to that group, as “redneck” is used sometimes with humorous pride and sometimes as the identity of those who exhibit ignorance and crassness, coming from the lips of those who in gentler circumstances apply the word to themselves and their kind. But none of this is obvious. It took my reading Lister’s novels to begin to unravel the mysteries of the world I now live in. I knew there was a prison outside of town, but I'd never been in it. I hadn't spent time in the local bars until Michael and his wife Dawn invited me for an evening out and I heard them both harmonizing on a country song since it was karaoke night. And though my brother-in-law is as local as they come, I'm as outsider as they come – hell, I'm a foreigner. I wanted to learn more and these violent yet spiritual stories set in what was now my environment were enriching my understanding. Were I homegrown like Lister I'd certainly be writing about this region and this town; in fact, this essay is a, hopefully not too clumsy, attempt to do so. And I'd be drawn to the religious dimension, as he is. It's not just that Wewa and environs have churches of all Protestant denominations, from lofty Episcopalian to the ocasional tent revival. It's the blood, the word that occurs, in typical fashion for crime series, in the title of every John Jordan book. The blood of crime, that which soaks the chaplain detective in the very first pages of Power in the Blood, but most importantly the blood of sacrament. Sacrament, sacrifice. If these stories that probe religious depths are violent it's because Christianity is violent at its core, even if at its core it preaches peace. It's based on the barbaric torture and execution of an innocent man, and it considers itself the continuation and renewal of another faith that has as its story the execution of an innocent, prevented when God stays the hand of Abraham about to slay his son. Both were sacrifices, the snuffing of life with a religious purpose. What is the purpose, then, of the violence around us? Lister’s detective chaplain struggles to learn the truths of whodunnits and of the relationship of man, that violent creature, to God. The first struggle requires powers of detention, as well as personal bravery. The second gets no help from detention, for it's an undetectable mystery that can only be approached through sacrament and sacrifice, through the power in the blood. And though there is no answer, there is, there can be, redemption. A prison is, after all, a house of sinners. Who could possibly be in more need of salvation? But Jordan is no ascetic saint. He has struggled with alcoholism. He is wildly attracted to women. And he certainly doesn't see the world through rose-tinted lenses. As Lister has pointed out, he breaks from the genteel tradition of religious detective fiction (Father Brown) and moves instead into the hard-boiled genre. Yet, all the characters in the novels, even the worst, are human. No cardboard villains. Lister takes me by the hand and introduces them to me. As of this writing I have yet to read all the John Jordan stories, never mind the others, for he is a prolific writer. And, as I discover the more I read, he's a craftsman of his trade and a deep one. Crime fiction can be unabashed entertainment – in fact, to be good, it should always be that – but it can go to the same places literary fiction does: a meditation, through writing, on the human, the divine, the social, the sacred, the role of humans in history and vice versa, the attraction of the concrete, and the unavoidable pull, due to the confluence of mortality and consciousness, of the metaphysical. I navigate the blood, always shed by crime and always participating in sacrament, that flows through the John Jordan books like the river that flows by Wewahitchka. Drive through here and you wouldn't know this is a river town, a magnet for fishing enthusiasts. Like so much about Wewa the river is hidden. You have to follow the little road signs that point to a boat dock, and after a short drive through back country there's the river. The mystery. “The river is within us”, TS Eliot wrote. Unlike Lister, I am not from this town, from this river. But reading him I begin to feel it flowing within me. Posted on December 30, 2018 by Michael Lister. The very first John Jordan mystery novel is NOW out in Audio! Don't miss it. Click Here. The difference between murder, accident, or suicide is sometimes indistinguishable. Posted on May 30, 2017 by Michael Lister. “Anyone in the world can participate in this worthy project. And it’s absolutely free. ... There are no strings. You give blood. I give you a ‘Blood’ book. It’s that simple,” author Michael Lister said. PANAMA CITY — For local mystery author Michael Lister, giving back to the community and storytelling are two things that run in his blood. Lister recently launched the “Blood for Blood Club,” an outreach project that donates one of his mysteries in the John Jordan “Blood” series of books to anyone anywhere in the world willing to donate blood. The program debuts Thursday, when Lister will host a blood drive and book signing at the Bay County Public Library. His Blood for Blood Club encourages readers to donate blood by giving books to those who give of themselves. 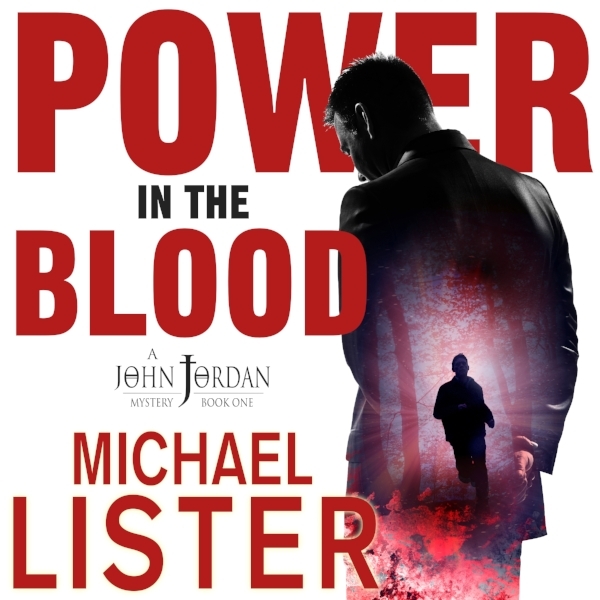 Anyone who donates blood can register on the website, BloodforBlood.Club, and Lister will send them one of the books in his acclaimed John Jordan Mystery series. Lister, who grew up in Wewahitchka, holds undergraduate and graduate degrees in theology with an emphasis on myth and narrative. In the early 1990s, he became the youngest chaplain within the Florida Department of Corrections. For nearly a decade, he served as a contract, staff, then senior chaplain at three different facilities in the Panhandle. That unique experience led to his first novel, 1997′s “Power in the Blood,” the first in the series of popular novels featuring ex-cop turned prison chaplain John Jordan. The Blood for Blood Club will have its official kickoff at a book signing/blood drive at the Bay County Library, 898 W. 11th St. in Panama City, from noon to 5 p.m. on Thursday. For this first event, Lister is partnering with OneBlood, a Florida based not-for-profit blood bank. The event will be streamed live on Lister’s Facebook page (Facebook.com/MichaelListerBooks). After donors give blood, they can go to BloodforBlood.Club and claim their free book. In addition to the free book, donors also will be entered into a monthly drawing for a free Blood for Blood T-shirt and a signed hardcover of a Lister book. In addition, the website has a world map made of white dots. Every time someone gives blood and receives a “Blood” book, the white dot from their part of the world will be turned red — beginning with the Thursday book signing/blood drive in Panama City. Posted on May 23, 2017 by Michael Lister. 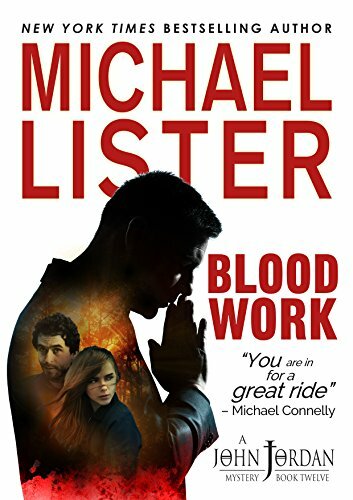 New York Times Bestselling and award-winning mystery author Michael Lister has just launched the Blood for Blood Club—an outreach project that donates one of his John Jordan “Blood” books to anyone anywhere in the world willing to donate blood. That’s where the Blood for Blood Club comes in. Blood for Blood encourage readers to donate blood all around the world by giving great books to those who give. The Blood for Blood Club will give one of the books in Lister’s popular and acclaimed John Jordan Mystery series to anyone who donates blood anywhere in the world every time they donate life-saving blood. After donors give blood, they simply go to www.BloodforBlood.Club and claim their free book. In addition to their free book, donors will also be entered into a monthly drawing for a free Blood for Blood T-shirt and a signed hardcover of a Michael Lister book. At www.BloodforBlood.club there’s a world map made of white dots. Every time someone gives blood and receives a Blood Book the white dot from their part of the world will be turned red—beginning with a book signing blood drive Lister is doing in Panama City, Florida at the Bay County Library on May 25, 2017. From that single drop of blood the map will continue to be painted with blood until the entire map is red and readers in every part of the world have donated blood and received one of Lister’s Blood Books. Posted on April 25, 2017 by Michael Lister. A Florida prison chaplain with investigative experience reopens an ice-cold case that will change his life forever. John Jordan’s troubles start with a phone request to rescue his drunken brother, Jake, from a bar. Jake used to be a deputy for his father, Jack Jordan, sheriff of Potter County. When Jack lost his re-election bid, both father and son were thrown out of work and feeling lost. But Jack has kept himself busy looking at cold cases, most recently the matter of beautiful, popular high school senior Janet Leigh Lester, whose car was found soaked in blood but whose body was never found. John’s relations with his whole family, especially his father, have been difficult, but when he learns that Jack has cancer, he agrees to help him review the case, which scarred many lives. Jack suspected but could never prove that Janet was a victim of Ted Bundy, who was rampaging through northern Florida at the time and was even spotted at a gas station where Janet stopped the night of her disappearance. Many thought her boyfriend, Ben Tillman, was the real killer, protected because his father, the sheriff of Jackson County, called on his friend Jack to take over the case. Nobody has a bad thing to say about Janet. Her friends loved her; her stepfather, Ronnie Lester, thought she was an angel; she helped Verna, her frail mother, care for Ralphie, her mentally and physically disabled brother; and she was active in school, church, and the 4-H club. Her death left behind a group of people torn by suspicion and guilt. Despite the difficulties involved in solving a 40-year-old case, John is determined to help his father, unaware of how high the price will be. Set aside a block of time to read the 12th in Lister’s series (Blood Oath, 2016, etc. ), for it may be impossible to put down. Conflicted characters and a shocking solution add up to an enthralling experience. Posted on March 6, 2017 by Michael Lister. Want a New and a Free John Jordan Mystery? Get COLD BLOOD today and I'll send you any other John Jordan Mystery you like ABSOLUTELY FREE! PLUS be entered for a chance to win a signed copy of Michael Connelly's "The Lincoln Lawyer" -- book and movie! On Thursday, January 20, 2005, the day of George W. Bush’s second inauguration, Randa Raffield, a twenty-one year old student at the University of West Florida, crashed her car on a secluded stretch of Highway 98 near the Gulf of Mexico. A witness who came upon the scene moments after the accident, testified that Randa was fine and not in need of assistance. Seven minutes later when the first Gulf County Sheriff’s Deputy arrived at the car, Randa was gone, vanished without a trace. Order COLD BLOOD right now and get ANY other John Jordan Mystery you like AND be entered to win a signed copy of Michael Connelly's "The Lincoln Lawyer" -- book and movie! Just email me at MichaelLister@MichaelLister.com after you've ordered COLD BLOOD and let me know what other John Jordan you would like and I'll send it to you and enter you into the drawing for "The Lincoln Lawyer." Posted on February 27, 2017 by Michael Lister. Would you help me choose a new Author Photo? It’s time for a new author photo and I want you to help me choose it. The talented Lou Columbus of 1492 Productions snapped the pictures below. Now I just need you to help me choose which one to use. Just vote for 1 or 2. And thanks for helping me choose. Posted on February 9, 2017 by Michael Lister. Because I am so very grateful for you and your support, and to celebrate my birthday, and to commemorate John Jordan’s 20th Anniversary, between now and my birthday on February 11th, 20 of my signed print books are just $20. That’s it. $20 (includes tax and shipping). CLICK HERE to check out 20 for 20. Reader Appreciation Store. Limited supply of signed print books (hardcovers and paperbacks). $20. FREE shipping. Now through February 11th. Then they're gone for good! Happy Birthday to John. Happy Birthday to me. Happy Reading. Posted on February 3, 2017 by Michael Lister. Win a Signed Michael Connelly / Michael Lister hardcover! 2016 has been a truly amazing year for me—and the best year yet for my books. In addition to selling and giving away more books than ever before, I hit the New York Times Bestseller List and the USA Today Bestseller List—twice! My writing means so very much to me, I pour myself into each and every book, and I’m so grateful for every page, every paragraph, every word you read! 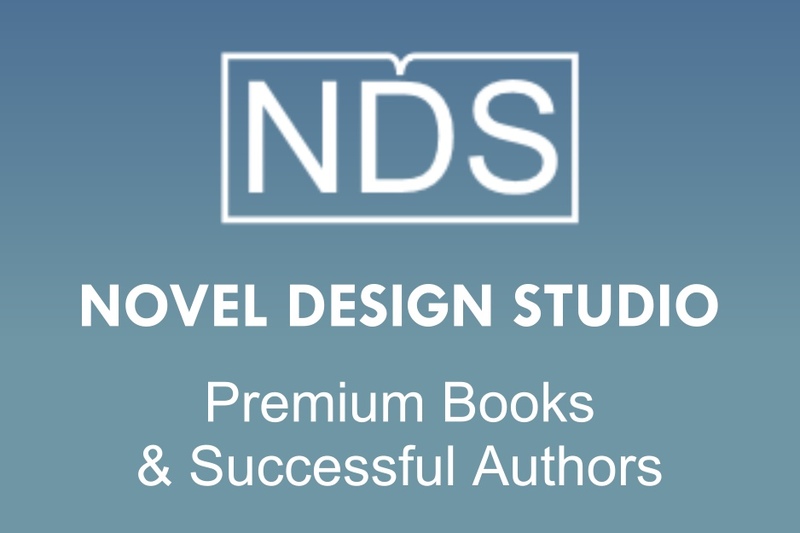 Taking a moment to write and post a review of the books of mine you’ve read is one of the most helpful things you can do for me. Please consider taking a moment and posting a review right now. Win a Free Signed Michael Connelly and Michael Lister Hardcover! Post a review for any of my books and be entered to win 1 of 5 signed hardcovers from Michael Connelly and me. For every review you post, you’ll be entered into the drawing—the more you review the more chances you have to win! AND for every review you post of one of these books—BLOOD OATH, BLOOD WORK, and BLOOD CRIES—you’ll be entered be entered in 3 times. That’s 3 times per review for BLOOD OATH, BLOOD WORK, and BLOOD CRIES. As soon as you post your reviews email me and let me know and I’ll enter you in the drawing. Much Love! Merry Christmas. Happy Holidays. Happy New Year! PS. The 20th Anniversary Edition of POWER IN THE BLOOD is almost complete and will be available soon--and boy is it something else! Can't wait for you to see it! Posted on December 23, 2016 by Michael Lister.